The Apple Watch has a Do Not Disturb Mode that enables the user to shut off interruptions. You can turn this mode on and off from either the Settings app or from the Settings Glance. You can also turn on the iPhone’s Do Not Disturb setting. In this case, when you turn on Do Not Disturb on your device, the other device will pick up the setting automatically as long as the second device is in range. On the iPhone, press Home. On the Home screen, tap Apple Watch. On the Apple Watch app, tap My Watch. On the My Watch screen tap Do Not Disturb. On the Do Not Disturb screen the details of the iPhone’s Do Not Disturb settings will appear. Set the Mirror iPhone switch as needed (to On or Off). Swipe up the watch face when it appears. The Glance screen appears and shows the last Glance you used. Swipe right until you see the Settings Glance. Tap Do Not Disturb, and the Apple Watch turns on Do Not Disturb mode. To turn off Do Not Disturb mode, tap Do Not Disturb again. Click the Digital Crown and the watch face will appear. Set Do Not Disturb to On or Off as needed..
Press Home to display the Home screen. Tap Do Not Disturb to open the Do Not Disturb screen. Set the Scheduled switch to On. Tap the From, To button to set the hours. 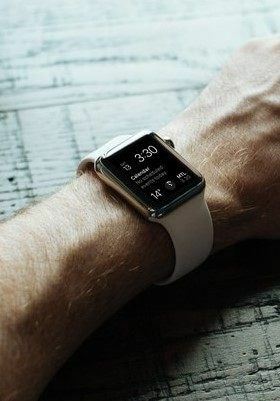 If you don’t see your notifications on your Apple Watch, make sure that your Apple Watch and iPhone are connected. In fact, if your devices disconnect, your notifications will go to your iPhone instead of your Apple Watch. You should also check the settings on your Apple Watch. When your Apple Watch locks or you turn on Do Not Disturb, your notifications go to your iPhone. When your Apple Watch is locked, Lock appears on the watch face. If your Apple Watch has a passcode, it locks automatically when you aren’t wearing the device, when it loses contact with your skin, or while it’s charging. When Do Not Disturb is on, a Moon icon appears on the watch face. To turn this feature on or off, swipe up on the watch face, then tap Do Not Disturb. By default, the Apple Watch notifications are set up to mirror your iPhone settings. For example, if you have set your iPhone Mail app to notify you only of VIP emails, and the notifications on the watch mirror the paired iPhone, you will only see VIP email notifications on your Apple Watch. Open the Apple Watch app on the iPhone. Next, tap the My Watch tab. If the user wants the app’s notification settings to mirror their settings on the iPhone, tap Mirror my iPhone. If instead the user wants to use different notification settings just for the Apple Watch, the user should tap Custom. For third-party apps, users can turn off notifications. To do so, scroll down to the Mirror iPhone Alerts From section and turn off the setting next to the app. Open the Apple Watch app on the paired iPhone. Thousands of material composition tests. More than a thousand prototypes worn for trial studies. If you know you have allergies or other sensitivities, be aware that the Apple Watch and some of its bands contain the following materials: nickel, stainless steel, space gray aluminum, or rose gold aluminum case, and methacrylate (but the Apple Watch and its bands are designed so that parts containing methacrylate are not in direct contact with the skin). Sell your old Apple Watch online to iGotOffer for the highest price. Free instant quote. You can call or e-mail us and ask any question regarding the selling of your Apple gadget: Sell my Apple Watch online. I have Apple watch Hermes and I used to have Apple Watch generations Original, alwayas was interested to understand why do different images show different watch Looks? Apple Watch provides various watch faces. The device enables the user to switch among the watch faces easily. To learn more about choosing Apple Watch series 1 face you select and customizing it, see this text for instructions. You should explain in more details how to change the watch face and customizing it. Thank you.